You'll learn about grids and layouts that you can use in UI design projects. We’ll discuss the best approach that can be used for most of the cases. You’ll learn a flexible way of using grids in your design to design a unique UI every time, but having everything clean and perfect aligned. We’ll create a folders structure, and I’ll show you a proper way to organize all the files and documents related to a project you’re working on. We’ll establish simple rules of how to have everything in order with easy access anytime you need to find a document or a specific feature design or version of the design. I’ll show you how I design UI with tips and tricks that simplifies everything from ordering layers to cases of use of guidelines and iOS library in mobile design projects. You’ll see how using these tips you can speed your design work on screens even without any advanced knowledge about symbols etc. It will boost your design workflow even more. We’ll learn how to use symbols and how to make UI elements dynamic avoiding doing repetitive work. We’ll create a UI library that you can use during all phases of a project, and that will help you building templates that you can use to automate your design process. I’ll show you how to convert your UI library into share library that you can use for different files within a project and even collaborate with a team using this library and making UI consistent everywhere. We’ll export UI elements, icons and other graphics in a proper way that’s easy to use for developers. 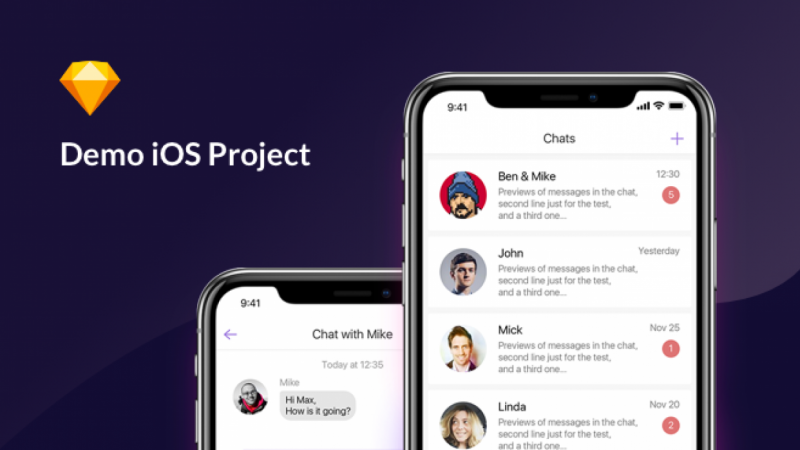 We will create Messenger iOS App for iPhone X throughout the course, and I will explain how to optimize your flow to make design projects 2-3 times faster than 90% of designers do. Digital product designer with 8 years experience in design for websites, web & mobile apps. Worked on a design for different challenging projects and organizations such as Columbia Law School and Microsoft.